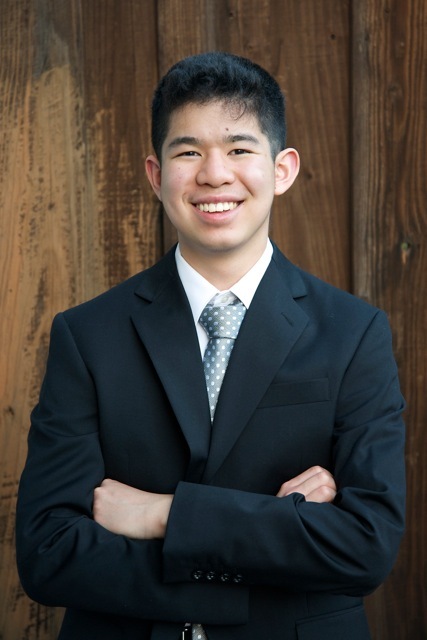 Ethan Andrew Chi is a 17-year-old homeschooled junior from Cupertino, California. He has been under the guidance of Ms. Erna Gulabyan of the San Francisco Conservatory of Music for the past six years. Past teachers include Mrs. Tatiana Romanovsky (piano), Mr. Li Lin (violin), Ms. Daisy Bate (cello). Current teachers include Ms. Debra Fong (violin) and Ms. Angela Kraft Cross (organ). Ethan loves music and can’t imagine a life without it. In addition to piano, he enjoys playing violin, cello, and organ, composing, and even studying scores. He finds it gratifying to share the joy of music at senior centers and performing with friends. One of the highlights of his concert experience throughout the years was performing at Carnegie Hall as a winner of the Golden Age of Romantic Music competition as part of the American Fine Arts Festival, where he won first place along with the Best Chopin Performance Award. He has also performed at Royal Albert Hall in London as part of the Grand Prize Virtuoso Competition, where he won first place along with the Best Chopin Performance Award. Ethan has won numerous other awards at competitions such as the US Open Music Competition (three-time first place winner), San José International Competition, Junior Bach Festival, and Enkor International Competition. He has performed at the San Francisco Conservatory, Le Petit Trianon, Pipe Organ Experience at Stanford 2016, and the Junior Bach Festival. Ethan is honored to have learned from master classes with Hans Boepple and Dr. Sharon Mann (piano) and Stephanie Chase (violin). He also has been a part of the Stanford Symphony Orchestra and the San Jose Youth Chamber Orchestra. This year, he is the teen leader of the Rolling Hills 4-H Music Project, which aims to develop collaborative performance skills in a supportive environment.